You leave your practice after a long day at work, arrive home, and pour yourself a drink. What's in your glass? 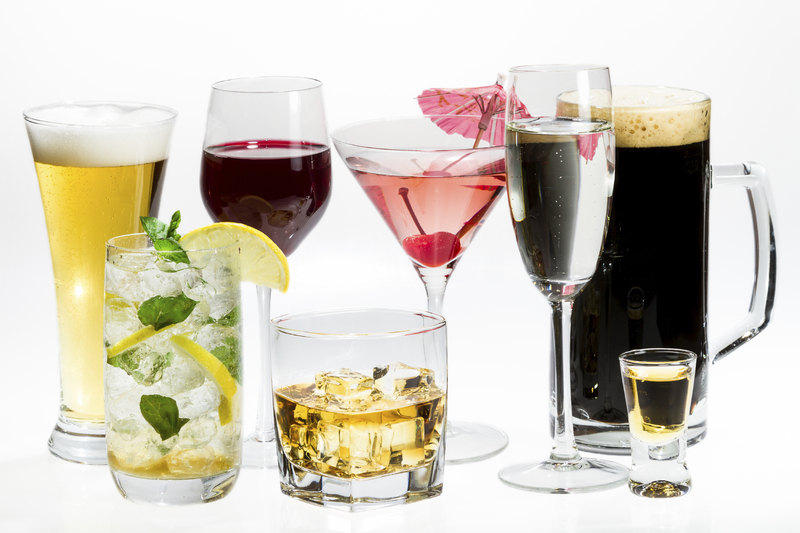 Your after work drink of choice says a lot about you, and the type of day you had in your eyecare practice. A variety of things can happen in your office throughout the day that leave you reaching for a drink when you get home. There are stressful challenges you face as an OD; dealing with late and no show patients, making big purchases on equipment or software, maintaining your HIPAA compliance, fully engaging your staff, or even hiring new staff. There are also landmarks you reach in your practice that leave you reaching for a celebratory drink instead of a stress reliever. Maybe you just found the perfect employee to hire, received positive feedback from a patient, or met certain goals you had set for your practice. Today, we want to share with you what we think some of the different drink choices say about not only your personality as an OD, but also about the kind of day you had. You reach for white wine after a light day at work. This is definitely more for the days when you want a drink after work, not when you need one. White wine drinkers are thinkers; you pour yourself a glass to reflect on your day in the office. Stay classy! You have a normal, non-stressful day at the office, and you want to sit and be reminded that your job isn't always crazy, and that you really love what you do! Keep using the excuse that red wine is good for your heart and we’ll keep pretending that’s the only reason you’re drinking it. There is a reason why Scandal’s Olivia Pope chooses red at the end of the day, it’s the same reason you do: to release a ton of stress! All of you red wine drinkers out there shouldn’t feel bad, your choice of drink shows high amounts of sophistication, so keep helping out your heart! You have a handful of no show and late patients throughout the day. You didn't meet your sales goal in your dispensary. Martini drinkers are the socialites in life. If a martini is your drink of choice, there are three main characteristics that describe you: strong, smart, and social. You’re the kind of OD that loves to create friendly small talk with your patients, you love your job, and your patients love you. Fly on social butterfly! You have a successful conversation with a patient via your practice's social media account. A patient writes you an awesome Yelp review! Cheers to free advertising! You’re not a newbie when it comes to your profession, and people can tell. You radiate intellect, and choose a whiskey neat as your nightcap because it is what seems proper and appropriate. Your patients trust your advice when it comes to their eye health and they are confident that you are the best OD for them. We raise our glass to the optical pro! A patient listens to, follows, and thanks you for your advice. You're asked to write an article to be published in a reputable industry magazine, or speak at a notable industry event! We get it, you’re fresh out of school, and surprised by how stressful the eyecare field can be sometimes. You reach for that pitcher of margaritas after work because it reminds you of all those wonderful Spring Breaks in Mexico during grad school, before the real world started and stress settled in. Proceed with your imaginary time travel! You accept your first job out of optometry school. You open your first practice and are completely overwhelmed by everything it entails! You have a weekend away catching up with friends from school. A member of the drinking class, you’re a friend of the working man. Your patients like that you relate to them as a peer. Stress is almost a foreign word to you; you’re far too laid back to spend hours worrying about anything. You look forward to that cold beer when you get home from your practice; simple and smooth. You complete a normal day of work; or any day for that matter. Well someone is celebrating something big! Congratulations on whatever it is; enjoy! You purchase a new practice management and EHR software that's going to make everyone's lives easier in your practice! You reach your follower goal of 500, or 1,000 new likes on one of your social media pages. You reached your goal in sales in your optical dispensary. We're sorry. We know work can be crazy stressful sometimes. Carry on. You've had one of "those" days. We had some fun coming up with what after work drinks say about different personalities. Do you agree? What's your after-work drink? Now that you know what your after work drink says about you, pour yourself a drink and relax with us on Facebook!